as they are food for what lives on the reef. making it a heavier bait easy to cast and lives well on your line. When using a green back for bait, put your hook across the bridge of the fishes nose. not up through the jaw as you would a fresh water shiner. while in transportation. So you have to catch them. or in your live well. and if the fin has a long extension like a thread coming from it. You have a thread fin. your hand covered in tiny fish scales. So they are soft and fall off easy, making this a very delicate bait. in a truck then a tank and then a bucket them on your hook. Temp, ph, & salinity any of these changes fast and the fish will die. So you have to catch them your self. High pressure water discharge in your live well, will blow the scales off of a Thread fin, and make them die quickly. It is better when trying to keep threadies if there is more flow and less pressure in your live well. 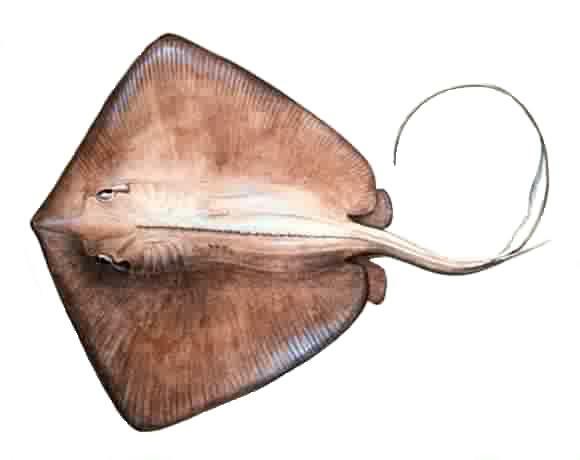 The dorsal fin on their back has very sharp needle like spines/fins. Which are pointy like stick pins. Pin Fish are very hardy live well in a live well and can be found in bait shops or caught in the wild. Pin fish is a good eating fish and reach sizes of a pound or so a 1/2 pound Pin fish has a nice fillet and is med mild in flavor. Pin fish are available in many bait shops, when they can be found, The Pin fish lives fine in transport and makes a great bait to buy. fuel to find them, Then what you can make selling them. So good to use, live well, and is just not readily available to buy. 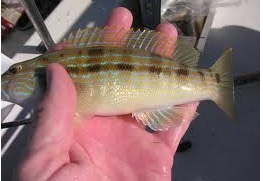 This is too small for bait, but it is what fish eat. the fins are removed first. Tarpon go through a school of small cat-fish sucking in dozens at a time. 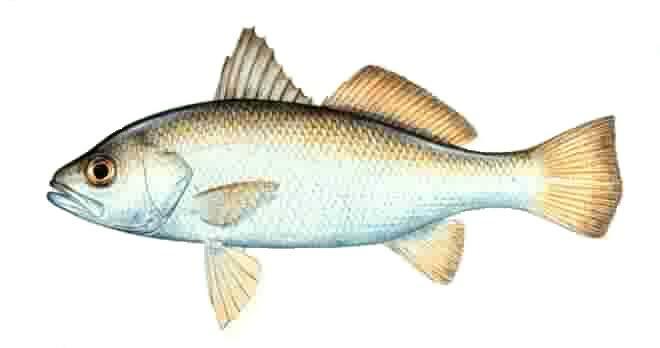 It is believed that Cobia will bite off the dorsal fins before swallowing a cat fish. considered a bait fish, but is good eating on it's own. Many think of them as Grouper candy. Caught on sandy bottoms in the near Gulf. So must remain in whole condition. Sorry I know you want to. Some-times you will catch these in Charlotte Harbor. They hit lures sometimes as big as they are. This Lizard fish is about 12 inches long which is good size for them. I am not sure if you can eat them. 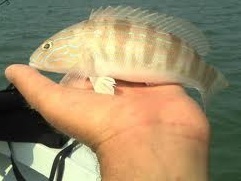 I do know they make great Grouper bait. They have a triangle shaped head, and a mouth full of teeth. Lizard fish are not poisonous that I know of. a fairly common catch in our area. 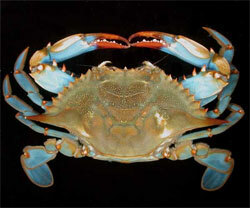 They are sold as food or as bait. as food you can eat the meat from the body & the claws.